When I visit Lago de Atitlán in Guatemala, I plan to stay at San Pedro La Laguna rather than Santiago Atitlán. There is more to see and do in San Pedro, and I can always take a lancha (covered motorboat) across an inlet of the lake to Santiago Atitlán. It would make a nice day trip from San Pedro. While there, I can visit the Maya god Maximón and make an offering to him for a safe trip, and I could visit the weaving cooperative. Why San Pedro? It seems there are more places to stay. The town has something of a reputation as a party town for backpackers—and that aspect of the town is one I wish to avoid at all cost. When I travel, I like to sit down and read my Kindle—not listen to an international crowd of juveniles who have had too much aguardiente to drink. In fact, I generally prefer to avoid places where backpackers congregate. I guess this is all part of the “will you rotten kids get off my lawn” aspect of aging. 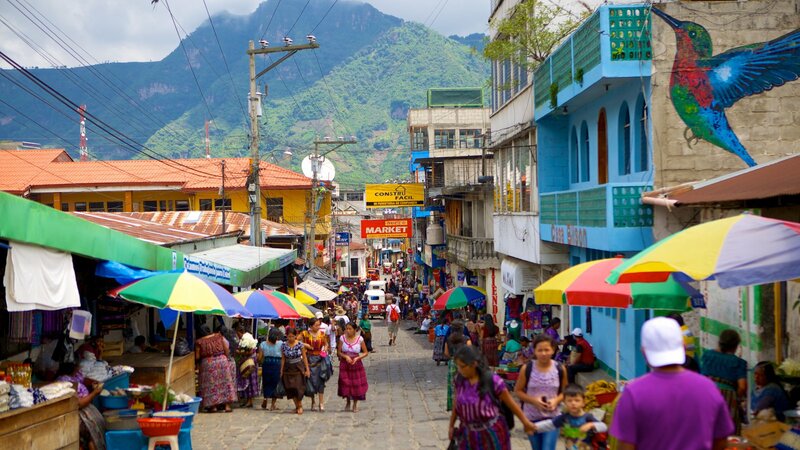 This entry was posted in travel and tagged backpackers, guatemala, maximon-atitlan, san-pedro-la-laguna, santiago. Bookmark the permalink.